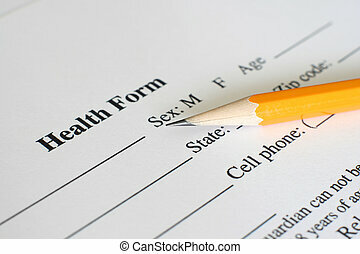 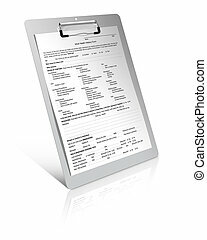 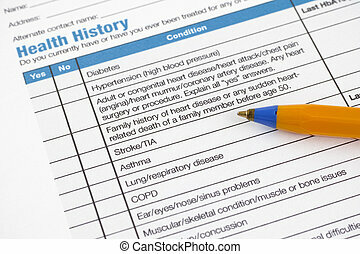 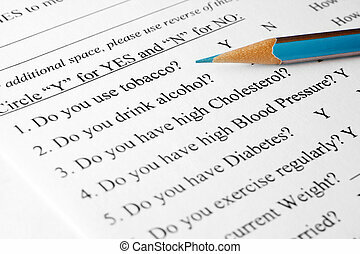 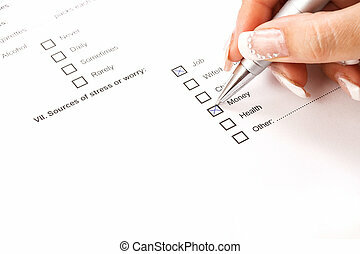 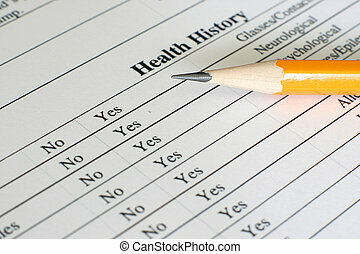 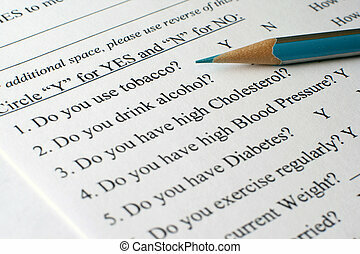 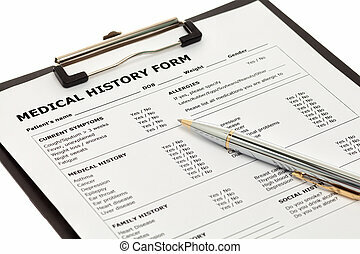 Page of Health History form with pre-participation physical information. 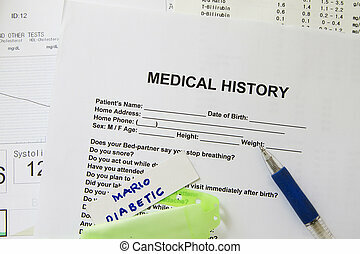 There are glasses and ballpoint pen on page. 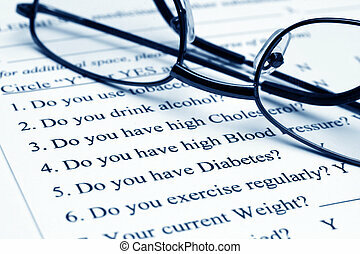 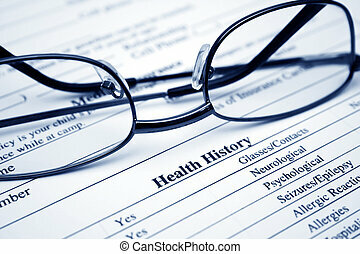 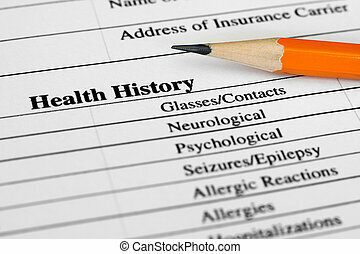 Health History form with glasses and ballpoint pen. 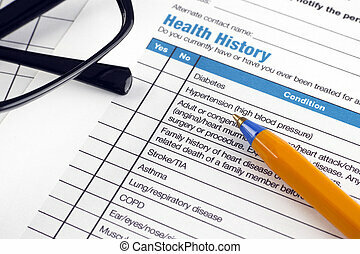 Page of Health History form with pre-participation physical information with ballpoint pen on page. 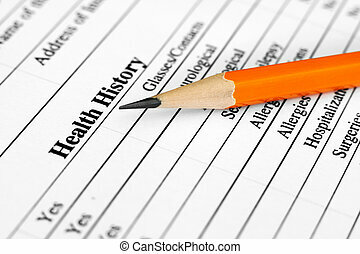 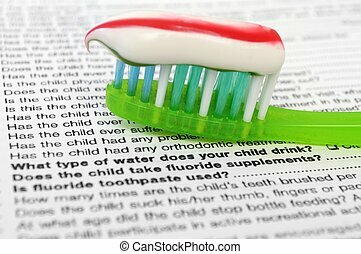 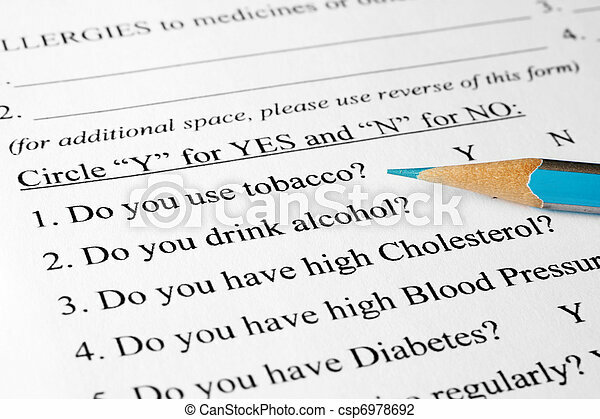 Health History form with pallpoint pen. 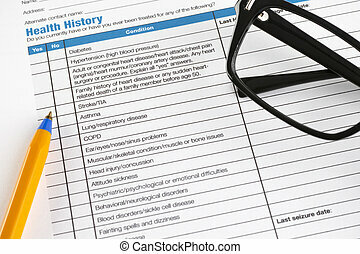 Health History form with glasses and ballpoint pen. 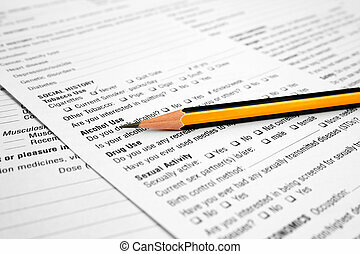 Adobe RGB. 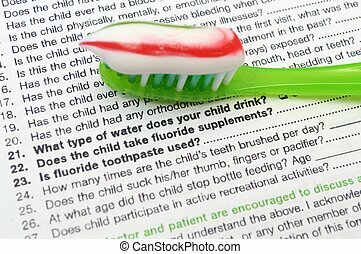 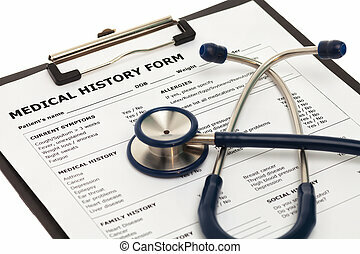 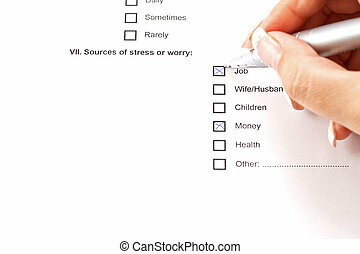 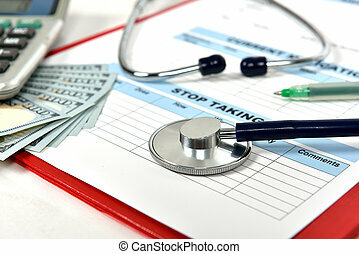 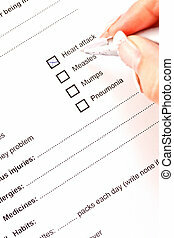 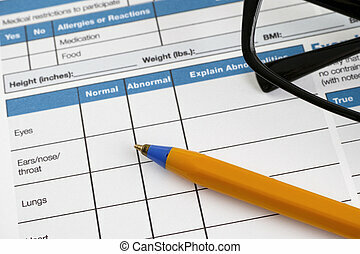 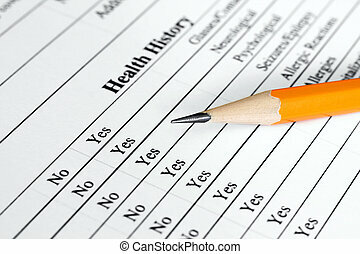 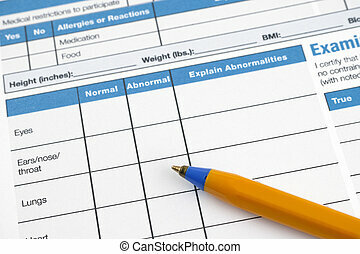 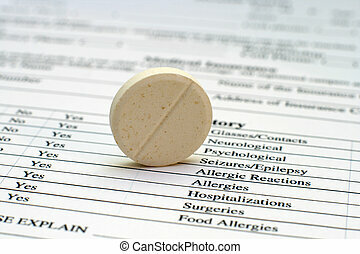 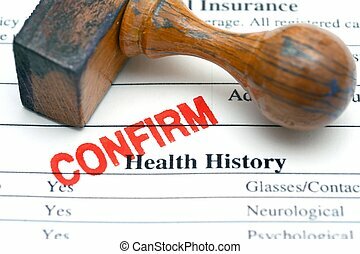 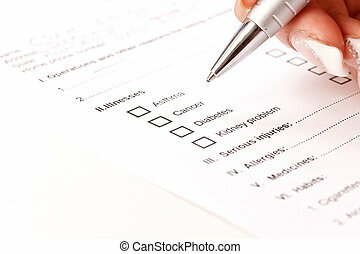 A medical history form with a green nametag.